Are there any important educational needs that we should know about your child? Does your child have a friend that he/she would like to have in his/her class? Has anyone in your family been adopted or converted? If yes, please explain on line below. *although we warmly welcome children of mixed marriages and children who have converted to Judaism into our Hebrew School, we can only perform the Bar/Bat Mitzvah ceremony if the child’s biological mother is Jewish or the child had a universally accepted conversion. Feel free to contact LBA with any concerns. After clicking the submit button, please click the pay button to the right. LBA Hebrew School is organized through lEVI BIBLE ACADEMY. LBA is a non-affiliated family education organization dedicated to the furtherance of Jewish identity and heritage through positive learning experiences. The goal of our Hebrew School is to stimulate awareness among our participant families that Judaism can be relevant. This is done through imaginative and thought provoking teaching methods and hands-on experience. The approach is to encourage the family to join in the learning process. This makes the student’s education much more meaningful. 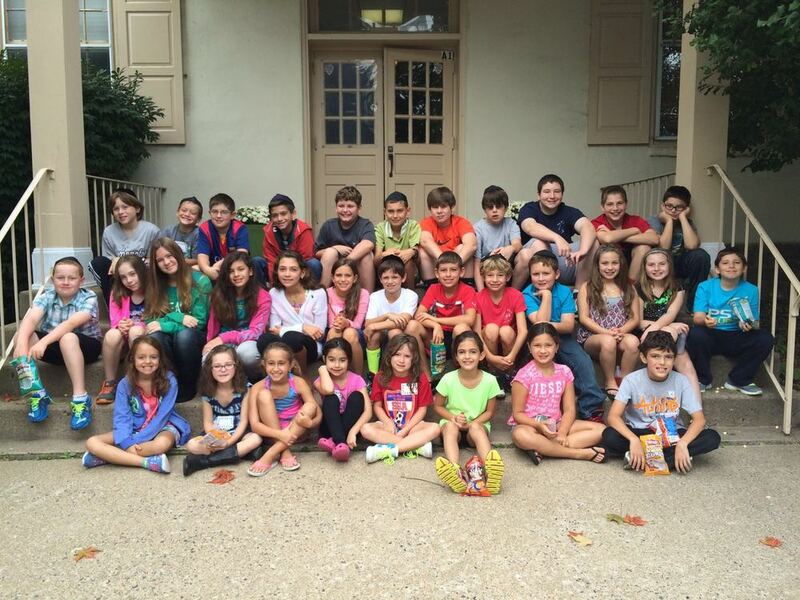 We hope our students will view Hebrew School as a milestone in their life and not as a dead-end Jewish experience. The secret of our success is twofold. First of all, the Jewish education your child is receiving is enjoyable, exciting, and low-pressure. We gauge success not by how well or how many Torah Verses he/she can recite at the bar/bat mitzvah celebration. Rather, our desire is that every week, every child actually looks forward to learning about Judaism, thus making Judaism a lifelong endeavor. The second component to our success rate is the under-rated element of parent involvement. Remember when you asked why you had to go to Hebrew school? Because “I had to go” was the answer you usually got from your folks. But imagine if years back, your folks didn’t just drop you off at school to pick you up two or three hours later. Imagine that just once, they stayed with you, grew with you, studied Torah with you, and actually showed an interest in your Hebrew School experience. We want our students to go to Hebrew School because everyone in their family is participating. To implement this we have provided many family and adult programs designed to enrich the total Hebrew School experience for your child. Offerings will include Hebrew reading crash course, Jewish life-cycle, Holidays, Adult bar/bat mitzvah program, etc. There is nothing better for your child’s motivation than to see you joining him/her in a Jewish education! The highlight of the adult education is the Parents classes that will be held occasionally on Sunday mornings. Its benefits are numerous. You have an opportunity to study the same topic your children are studying. You can also discuss Jewish issues in an open forum. Let’s face it, even if you attended Hebrew School as a child, Judaism is more sophisticated to a forty-year old than to a thirteen-year-old. Most important is the profound effect your child will receive knowing that Mom or Dad isn’t just dropping them off at Hebrew School. They are active participants in their growth in Judaism. As a boy or girl nears the age of Bar or Bat Mitzvah, preparations for the big day begin. During the first few weeks of school, parents can schedule a meeting with us to discuss the different options for a bar/bat mitzvah. The tutoring is done during Hebrew School hours. Classes are held once a week on Sunday mornings between 9:30 AM and 12:00 PM, at our home, 944 Second Street Pike in Richboro - Front Building. There will also be programs scheduled at other times to coincide with holidays and other special occasions. The tuition for the 2018 year is $675.00 and a $50.00 registration fee per student. You may pay in full or request a personal payment plan. Please indicate your choice on the registration form. You can pay by clicking on the "Pay Now" button below. In addition, checks can be made payable to Community Torah Center of Bucks County, or to CTC. EARLY BIRD SPECIAL: IF REGISTERED AND PAID IN FULL BY AUGUST 10th THE REGISTRATION FEE WILL BE WAIVED. Please feel free to call me with any questions or comments @ 215-364-1160 or Contact Us. I look forward to having you join the LBA family! !